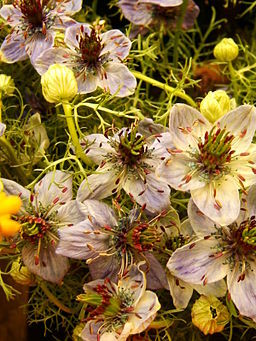 Of black cumin or ‘Habbat ul Sawda’, the Prophet Muhammed (pbuh) is believed to have said: “In the black seed is healing for every disease except death.” (Sahih Bukhari). 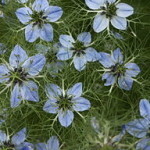 Black cumin is a small (30cm) flowering annual with finely divided leaves and delicate pale blue and white flowers in summer and is followed by an inflated capsule containing aromatic black seeds. 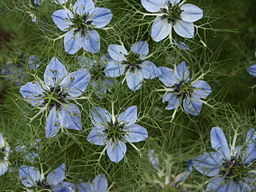 Not to be confused with the closely related Nigella damascena, or Love-In-A-Mist, which is only decorative. 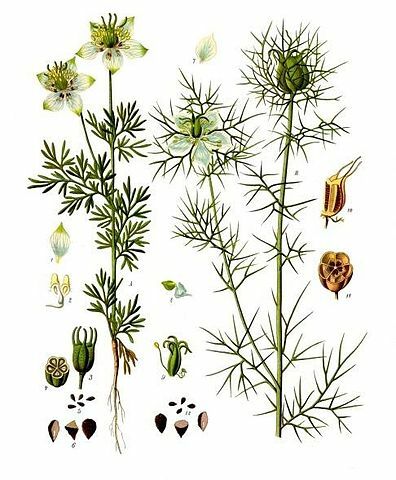 Black cumin prefers well drained soil in full sun, and can be found growing wild in rocky ground, fallow fields and wastelands. 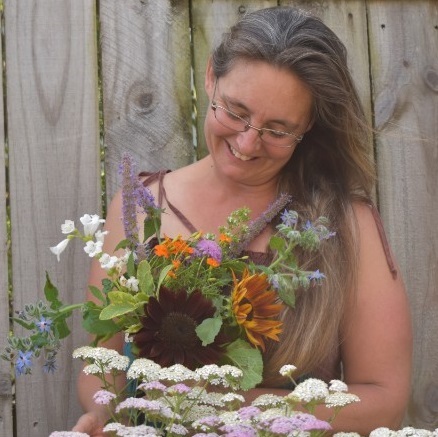 It is hardy and not a difficult plant to grow, and is often recommended for beginner gardeners or low maintenance gardens. Water fairly sparsely. 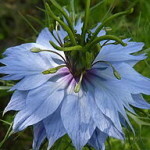 Very attractive to pollinators, so plant near produce gardens. As soon as the seedpod turns brown, it can be opened and the seeds collected. Culinary: Only seeds are used. They are highly aromatic and taste like a combination of onions, black pepper and oregano. Used to flavour curries, meat dishes, breads, pastires, chutneys, sauces and cheeses. 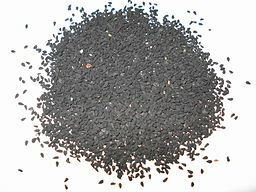 Black cumin combines well with lemon and cilantro. 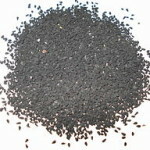 Make a tea by adding hot water to lightly crushed seeds. 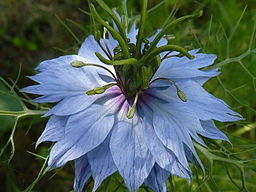 Seeds are also used to flavour honey. Medicinal: Containing over one hundred different chemical constituents, it is currently a subject for investigation for its use in diseases such as cancer, metabolic syndrome and gastrointestinal disorders. 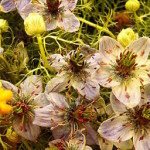 Beauty: Used to treat skin conditions such as eczema and psoriasis and to add lustre and strenght to hair and nails.